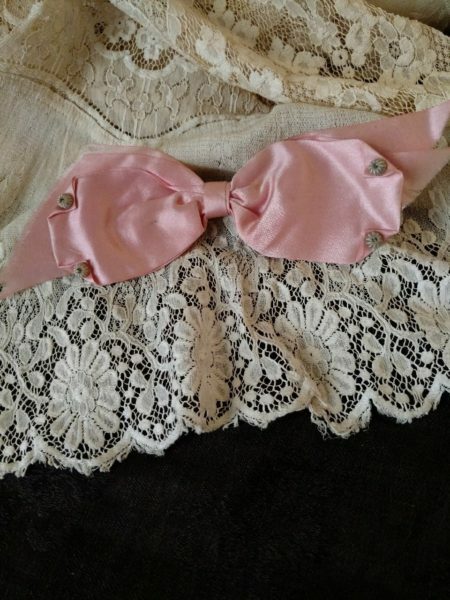 A darling hand made pink silk satin ribbon bow with tiny thread accents. More than likely, a pretty embellishment for a dress collar or perhaps decorated a sash. A metal pin clip on the back for fastening. Dates from the late Victorian or Edwardian era.